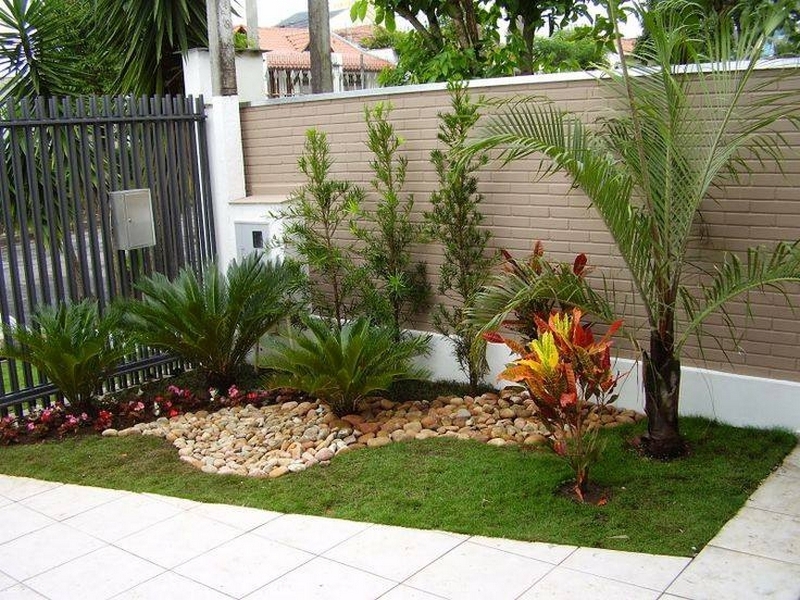 Many of us are not that much emotionally attached to those green grassy patches and the green landscape, but there is a whole lot of people who literally love this green place or gardens and they take all the measures to take good care of the place. 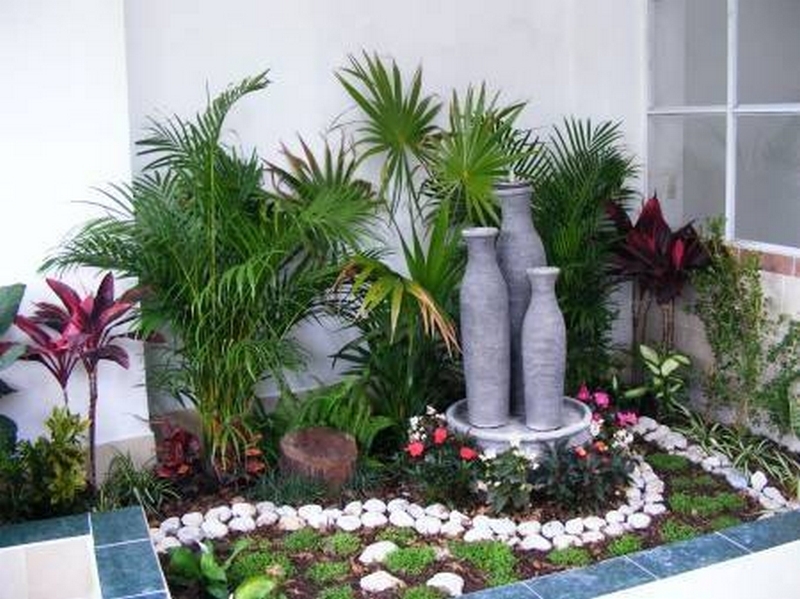 They resort to several garden décor ideas for making it look much better and prettier. 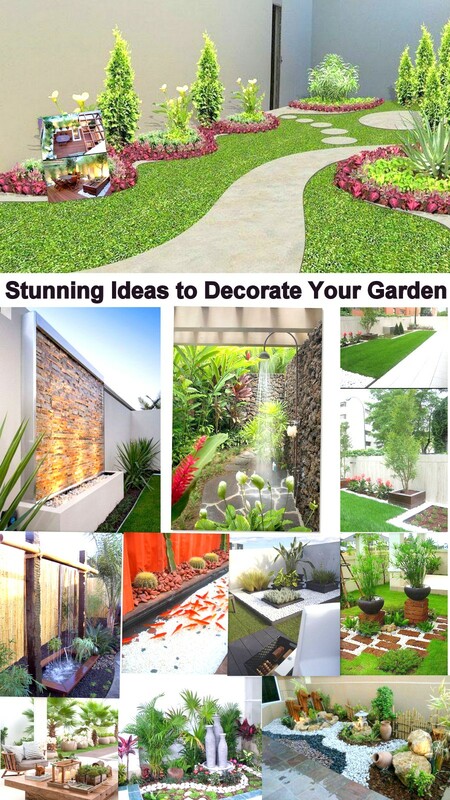 We have already presented a number of ideas that could be adopted in this regard, here we have come up again with a whole wide range of some stunning ideas for the decoration of your garden. Look at these cute and cheap clay pots that are very easily and cheaply available in the market. And also ponder upon the water taps that are made in such an artistic manner. Other that we just have used some piles of crushed and stained stones here. 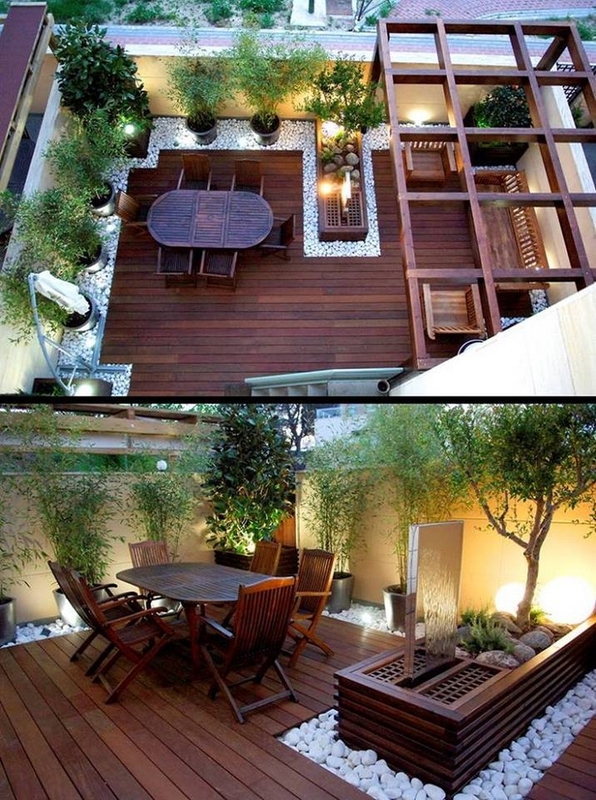 This is a very well planned and designed patio where we see some of the finest wooden furniture items along with the wooden deck, and all around the area we see very sensational atmosphere created with the designer’s planters. Along with the planters we can see some crushed stone patches that are stained in bright white shade. We all are familiar with these smart date trees, they are usually planted on highways and motorways to enhance the beauty of the road. Here we are using them domestically for improving the outlook of a domestic garden and I think they have done the job very nicely. 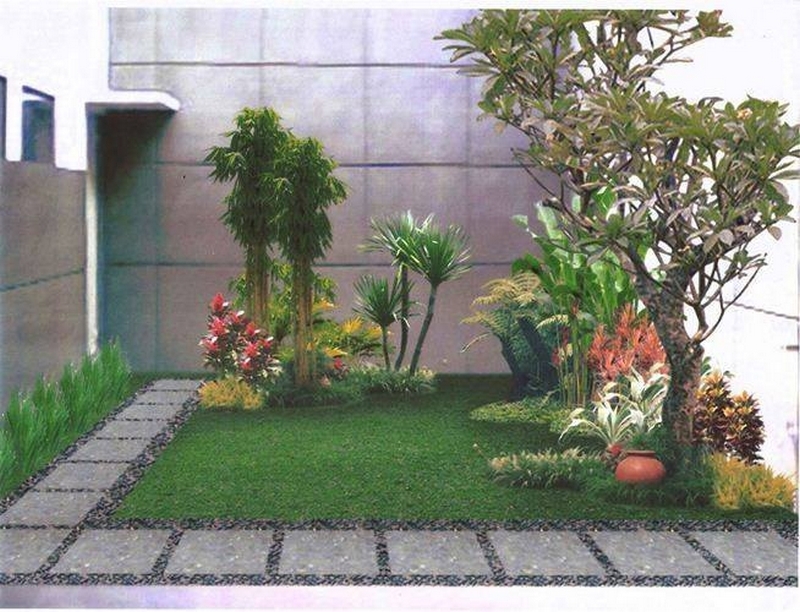 This sort of isolated green patches of grass in some cornered space is getting trendier now a days. Same ordinary and cheap material is used here again with no exception and despite of so minor expenses made here it gives an immensely lavish and rich look. 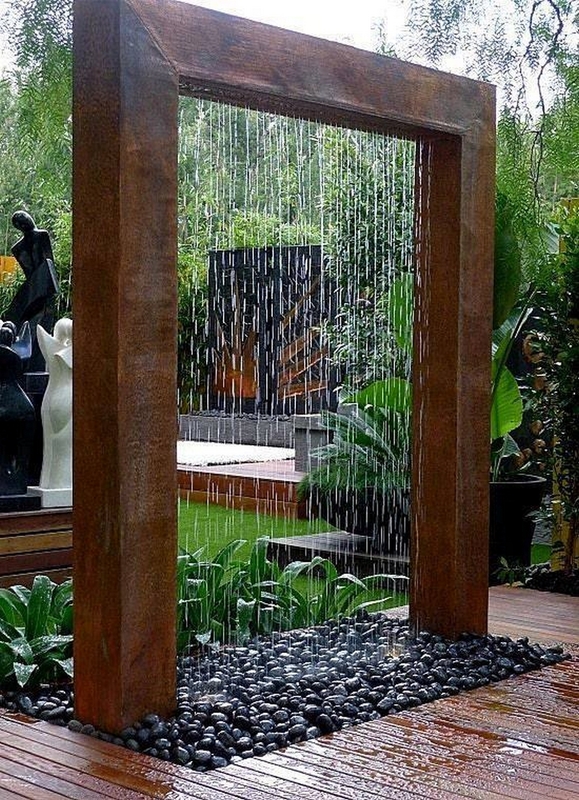 This showering pole is certainly an expensive installation as it takes some professionals to design and install such creations, but right below it we see some pebbles that are spread all around the enclosed area that was especially created to demonstrate this rich trait of art. This is the potential of these stones. Never in your life would you have seen such an astonishing and stunning aquarium that is so big and naturally shaped and designed. All along the border of the aquarium we see same red pebble stones that were grabbed just from the highway for this specific purpose. Here again we have taken help from some cool looking plants and trees that are famously used for the beautification of green landscapes. Like the date trees and the fluffy mushroom shaped foliage is looking perfectly amazing. This shows that just with some minor initiatives and modifications we can turn the ordinary things into some extra ordinary ideas. 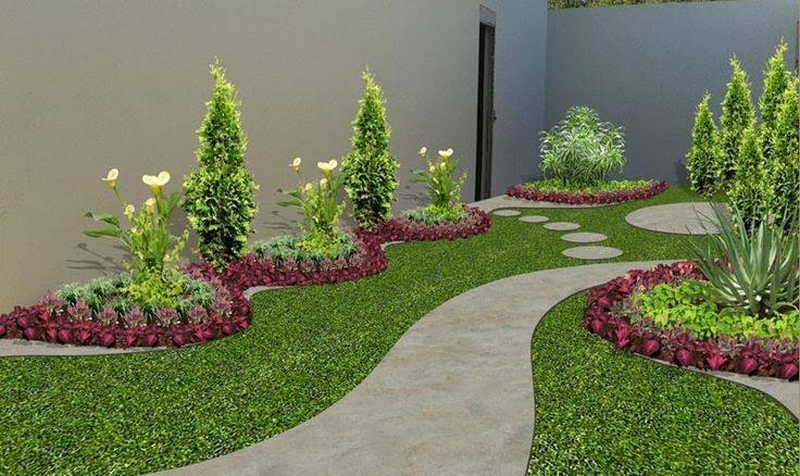 In this garden we have made a multi layered pattern where a fluffy plant is planted right in the middle, and around it we have added the crushed and stained stones in a circle making it look like a genius plan of décor. 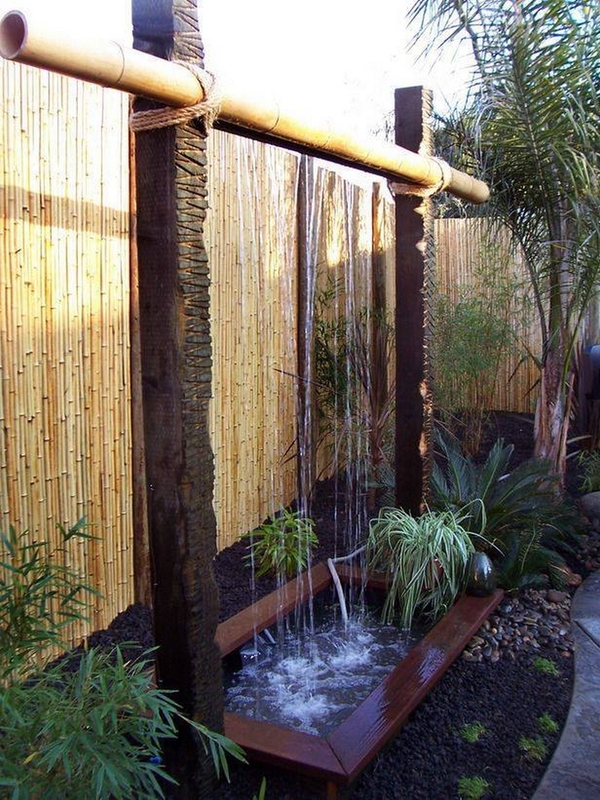 Among all the other relatively expensive and time consuming garden décor projects, here is one that is pretty cheap and handy from all the perspectives. 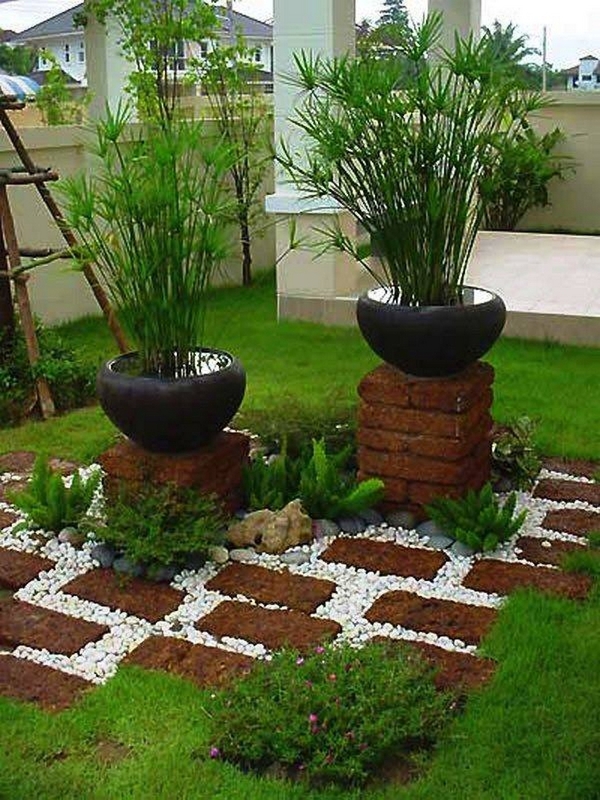 Like what exactly we have used here, we used some raw red bricks that are largely sized, crushed and stained white stones for filling, and smart black planter pot, and that’s it. No matter what place you are selecting for the application of these stunning ideas, you just have to concentrate of the methods that are simply cheap financially and also very handy to make. Nor they are much time consuming only then we would call them some genius ideas. As this is again a perfectly cultivated garden plan. 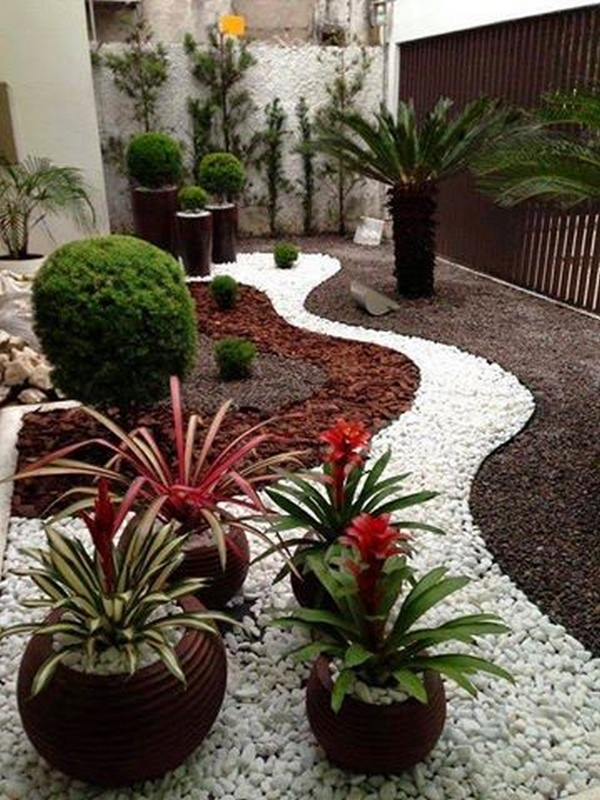 No expensive installations are placed here, this curvy and wavy passage way was made with concrete, and the tiny little circles made with same concrete material are looking like some artistic marks that are escalating the beauty of this place. This isolated green patch is made beside the car parking area of a reasonably big sized house. 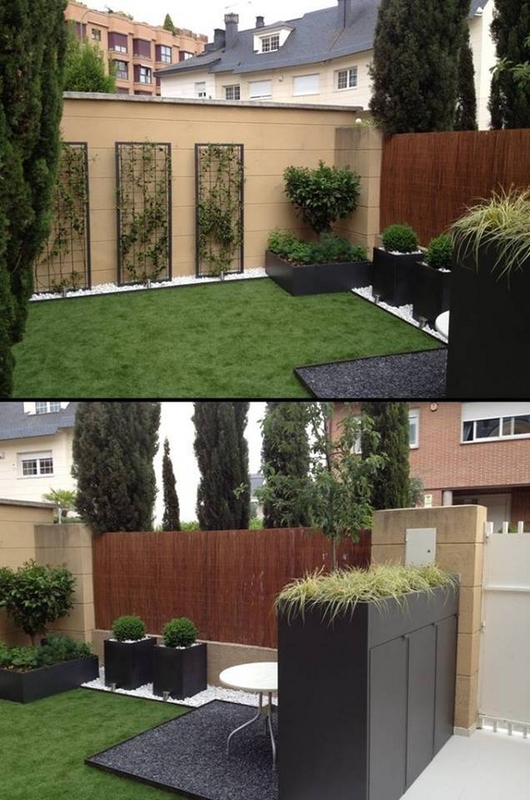 We have specified some cornered isolated space for turning it into a green landscape. Same date trees along with some colorful and fluffy plants are planted here along with an addition of pebbles in the middle. 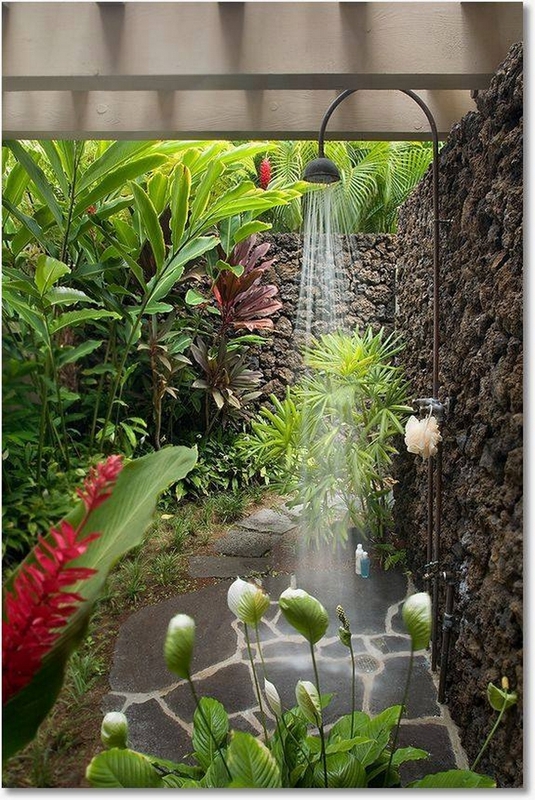 My goodness, well, this one is really a breath taking garden décor plan. No doubt here we see some huge expenses made on various installations but in the end the idea has really paid up. 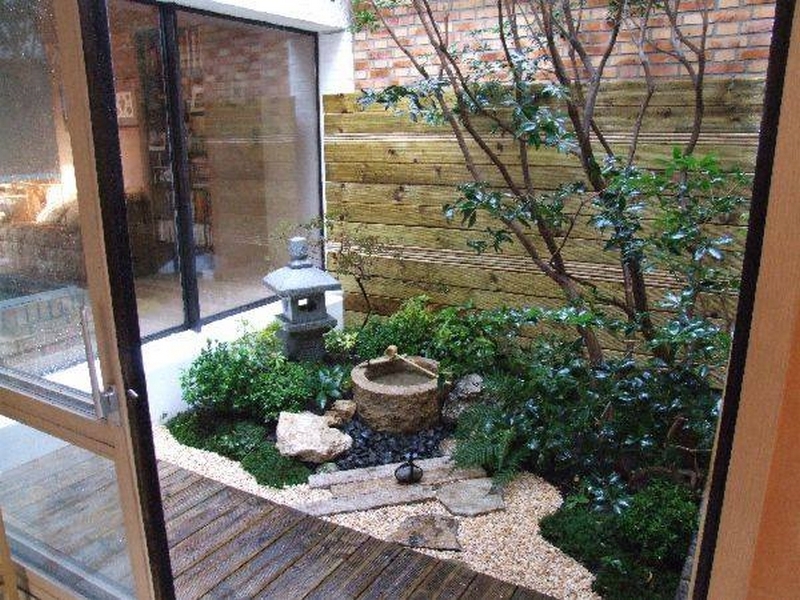 These cubical raised green patches and the wooden passage ways, all of this is simply amazing. And this is something that is made with exceptional love and care by some fanatic artist. Like just see the fineness of the white pebbles that are stained with bright white color. Each one of them is placed individually following a certain sequence. 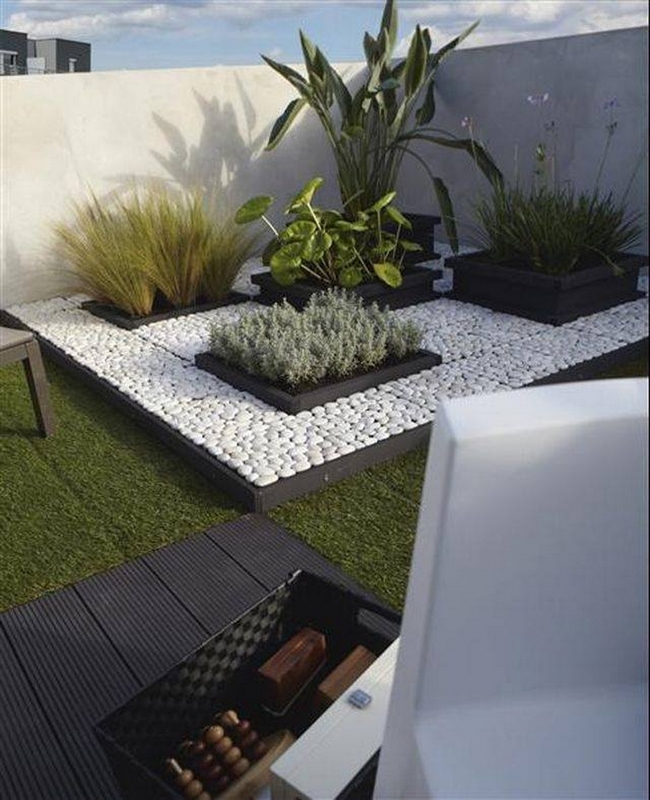 Here we can see some black planters that are fixed and they are certainly made with some expensive ceramic tiles and marble. 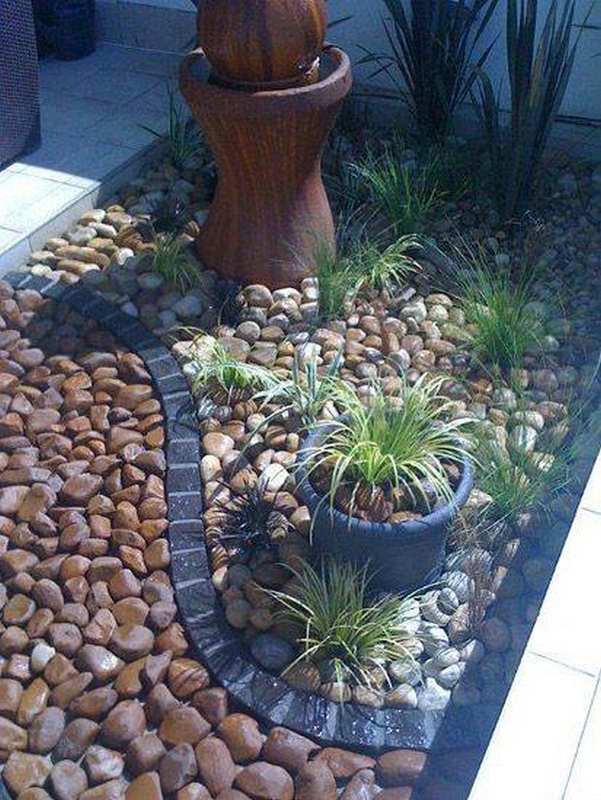 Some of them are filled with the plants, and a little cornered patch is filled with layers of crushed black stones. We can also see the metallic grills adjacent to the walls covered with green foliage. 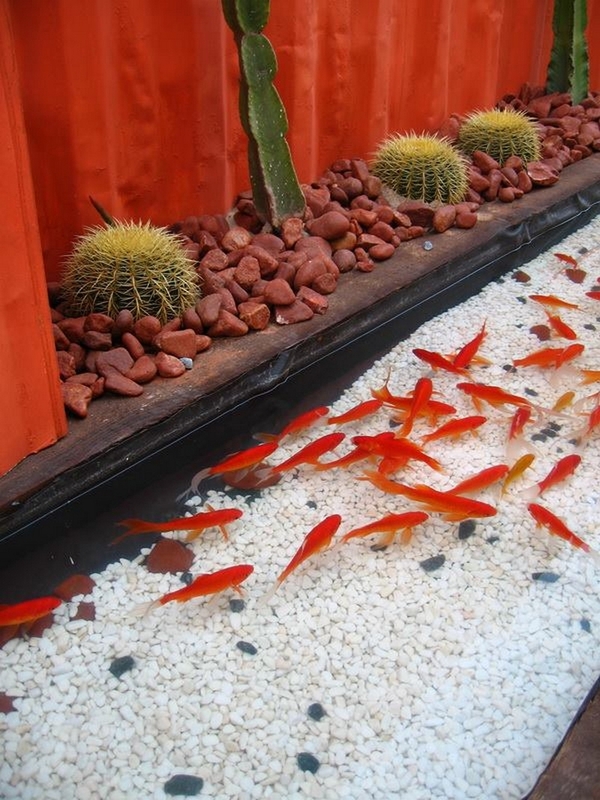 Well, honestly speaking I am already stunned to see these mind boggling garden décor ideas. 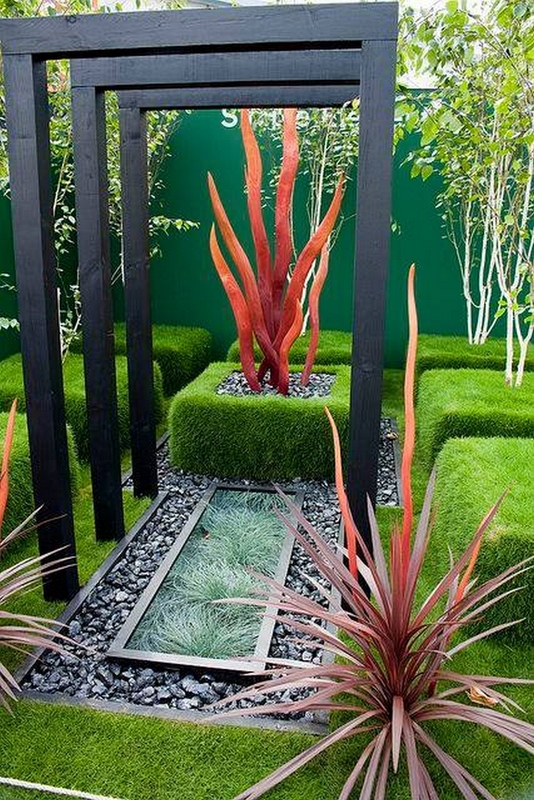 Here we see a couple of exclusive garden décor ideas with some massively attractive additions that are certainly used in lavishly designed houses. 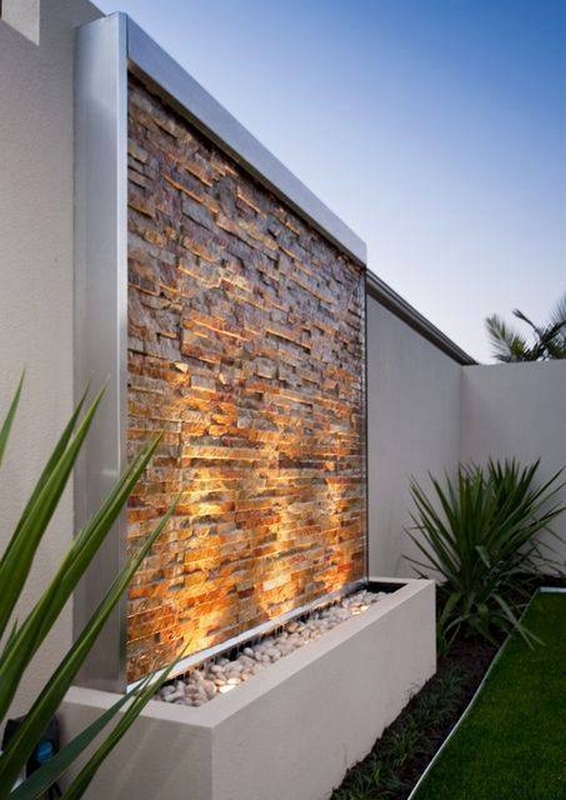 Throughout these stunning garden décor ideas we have also realized the importance of stones, pebbles and ordinary bricks. 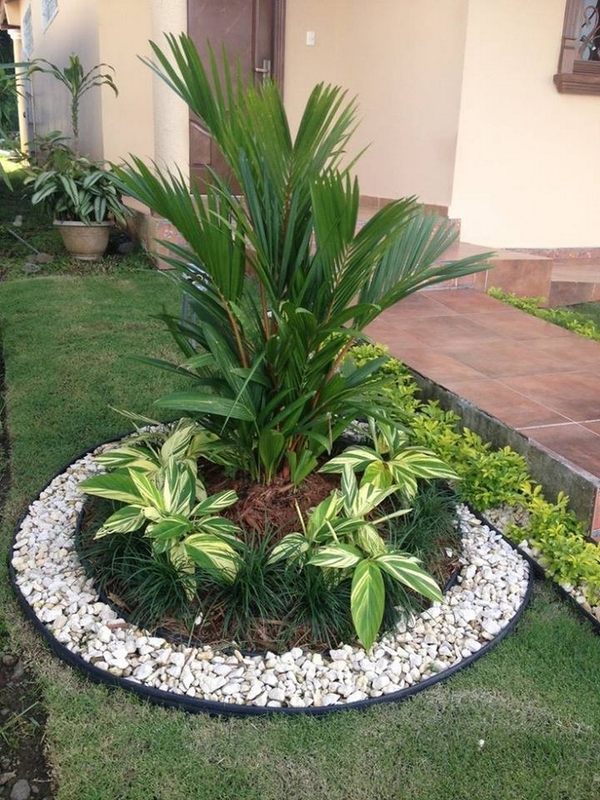 These are the cheapest accessories that we can use for the beautification of your green landscapes. 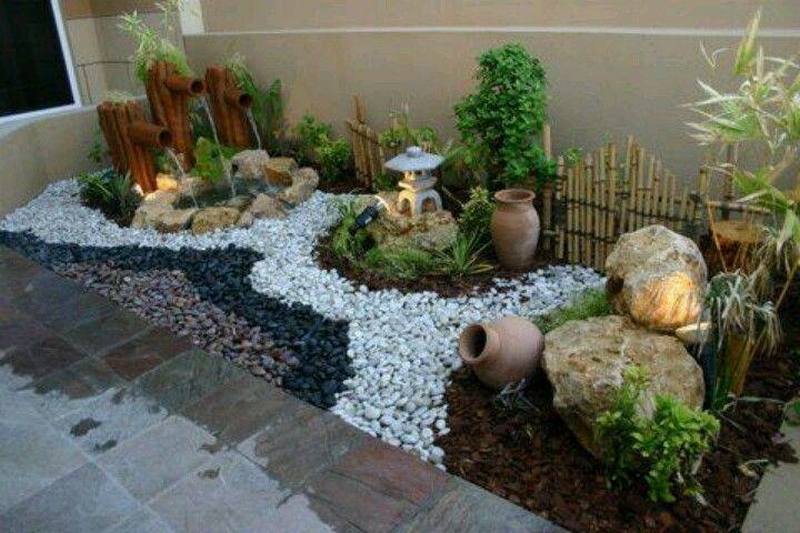 This is not necessary that we must resort to some expensive garden ideas. 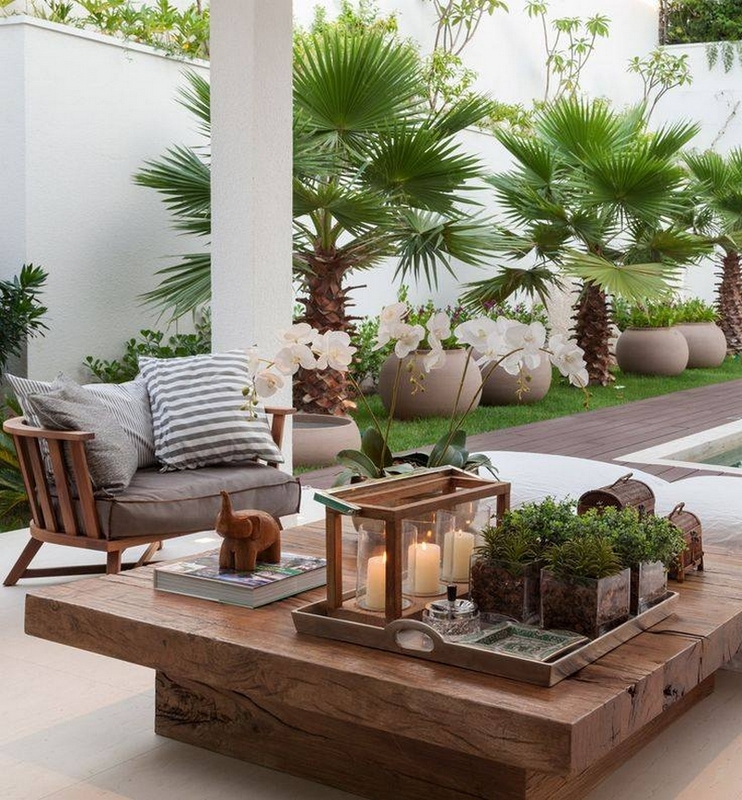 No doubt all of these exceptional garden décor ideas are literally stunning and mind blowing. They are mixed sort of ideas, in some of them we have witnessed some expensive additions but some of them were simply made using some of the cheapest accessories that very easily available everywhere. So all this begins with a strong idea.